The third expedition of Mission Manuhai took place from August 19-September 7, and was led by Chimgee Haltarhuu. 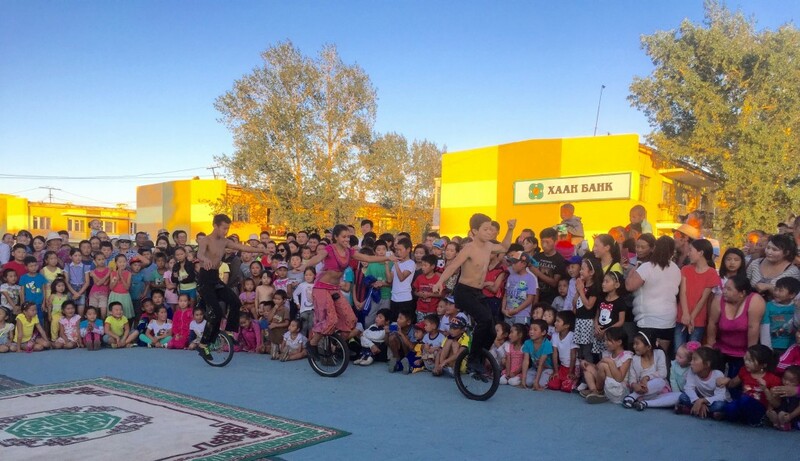 Three students from Circus Juventas traveled to Mongolia with Chimgee and performed. 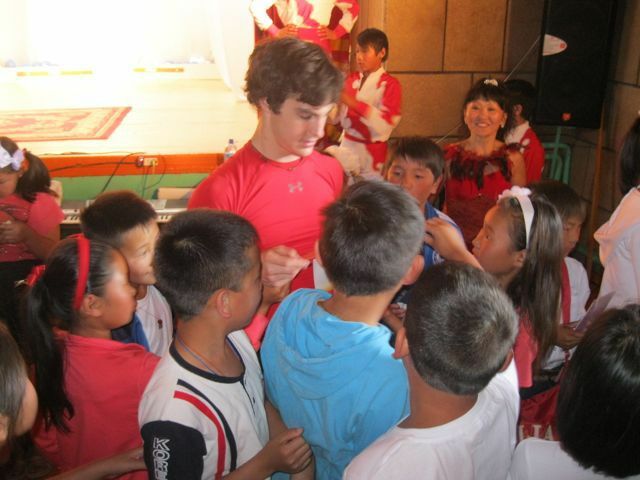 Chimgee also hired performers from Shonkhoodoi Circus in Mongolia to fill out the show. 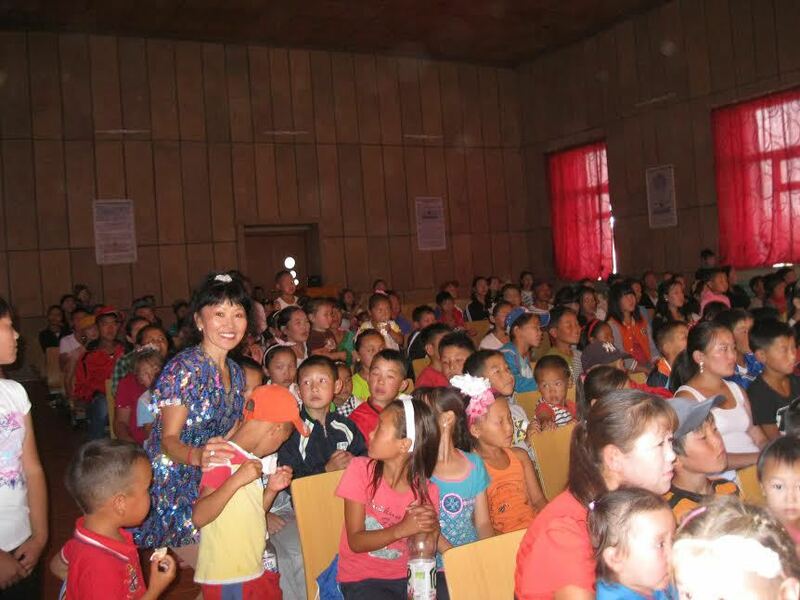 The free performance was a way to attract crowds of nomadic herders who never are able to see live entertainment, enabling many flyers against domestic violence to be handed out. This year, four different flyers were used; one for children, one for teenagers, one for young adults and one for older adults. The tour was a great success. 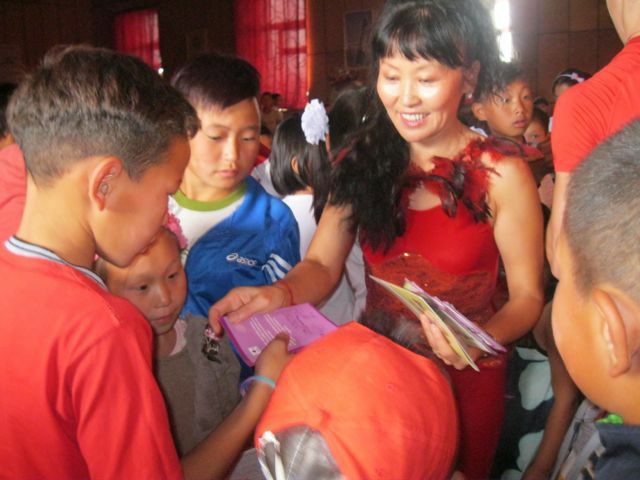 Naranjargal Urgahnar, a representative with the National Center Against Violence traveled with Chimgee’s group. Before every performance, Chimgee and Naranjargal spoke about Mission Manduhai and about the goal to spread the word, especially to young people, that domestic violence is not right. 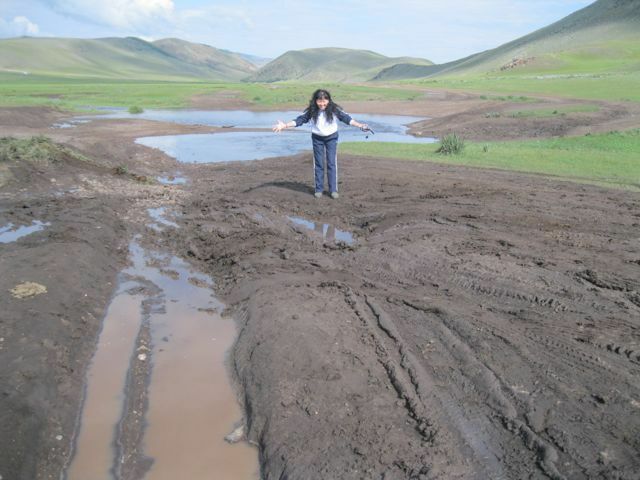 During the early part of the tour, two human rights advocates joined the group: Australian attorney Amy Rogers of the National Human Rights Commission of Mongolia, and photographer Mareike Gunsche. They wanted to interview and photograph Chimgee for a book project and future exhibition. One photo taken and submitted to Reuters by Mareike Gunsche was chosen by Yahoo News to be one of the photos of the day on August 27, 2013 (there were 19 photos shown worldwide, but Mission Manduhai was the first photo!). 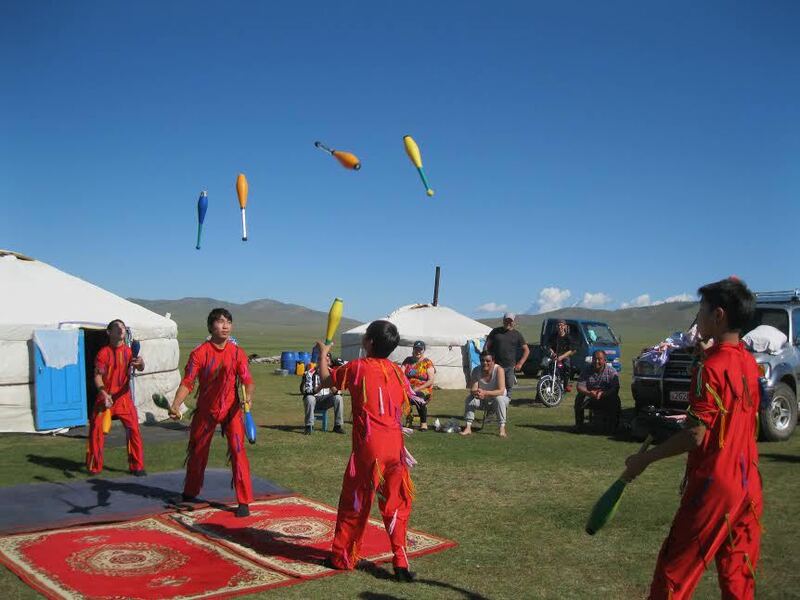 The young performers of the Shonkhodoi Circus were also able to hear the words against domestic violence, and were happy to be traveling and performing for the first time in the Mongolian countryside.